It has been estimated that an average company will double the amount of information it must manage every six to twelve months. This change implies a need for more advanced archiving and data storage methods. In order to increase productivity, non-electronic information is transferred into digital data, which can then be processed more efficiently with archiving software. Once data is digital it must be classified, stored and retrieved effectively and efficiently. The Infolution Archiving solution enables inexperienced users to retrieve data accurately and with high precision through the use of a customized search engine. The data storage solution is applicable to structured and unstructured text data. The innovative Infolution Archiving solution is unique in many ways; it is represented by an SQL compatible database that is based on a semantic concept. The underlying idea of Infolution's Archiving software is based on a behaviour that is similar to that of humans. Humans learn about new concepts by creating a relation to already known concepts. The Infolution Archiving software does the same. It uses a number of basic language rules to determine a relation between two concepts. In addition, the archiving software provides a statistical analysis that gives an answer to the question of how close two concepts are. "Filters" separate relevant data from irrelevant data. Highly accurate and relevant archiving. Infolution Archiving software is an ideal solution for any kind of archiving and data storage task, as well as for sharing knowledge across a larger community. Semantic database, document classification and synthesising are powerful tools to allow fast and focused retrieval through the use of cutting edge search engine technology. 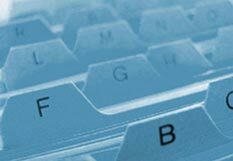 Choose Infolution Archiving software for your data storage needs.